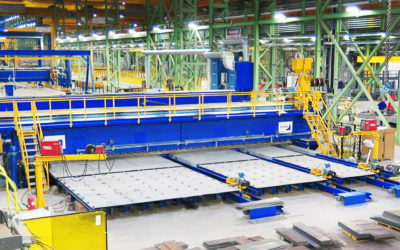 PEMA high-tech flat panel production lines provide ultimate efficiency in shipyard steel production. Uncompromisingly tailored to fulfill customer’s needs, they offer superior output capacity and overall productivity with a minimum amount of operators required. 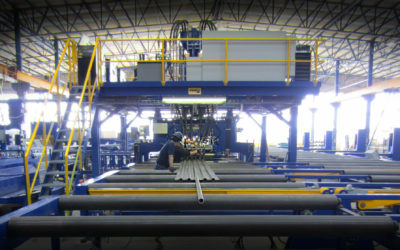 Fully automated and robotised high-tech flat panel lines can be directly integrated into the yard’s design and manufacturing data systems. 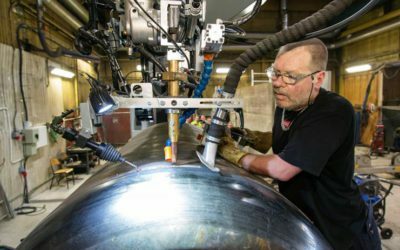 The dimensional accuracy, cleanness and straightness of the prefabricated components and subassemblies allow for high-speed, high-quality welding for thin sheet thicknesses as well as for heavier plates. 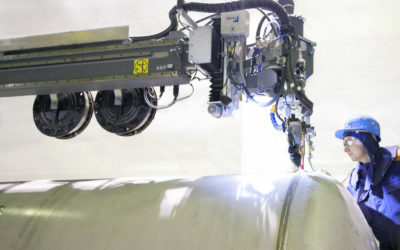 The laser hybrid welding process is supported.